INTEGRITY supports a variety of Board Support Packages (BSPs) that make it easy for the designer to get up and running out of the box. INTEGRITY BSPs provide board memory initialization and support for a variety of peripherals including serial and ethernet devices, and flash programming. We are adding new board support packages every day. 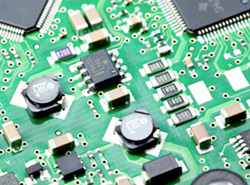 Please contact your local Green Hills Software office to discuss your board support package requirements. *Note: Please contact Green Hills Software for more information about availability.